Visit Brandenberry Amish Furniture during the Brandenberry 10th Anniversary Sale and save! Huge savings on close-out and in-stock items, including mattresses and Flexsteel furniture, plus drawings for up to $500 await you at Brandenberry Amish Furniture in Shipshewana, Indiana. It’s all part of the Savings up to 60% in the Brandenberry 10th Anniversary Sale, which runs Sept. 26-Oct. 1, 2018. Brandenberry is offering price cuts of up to 60% off close-out solid hardwood furniture models. This means you can get top-quality, Amish-built hardwood furniture at huge savings off the regular price. However, these discounts are not valid with any other promotion. 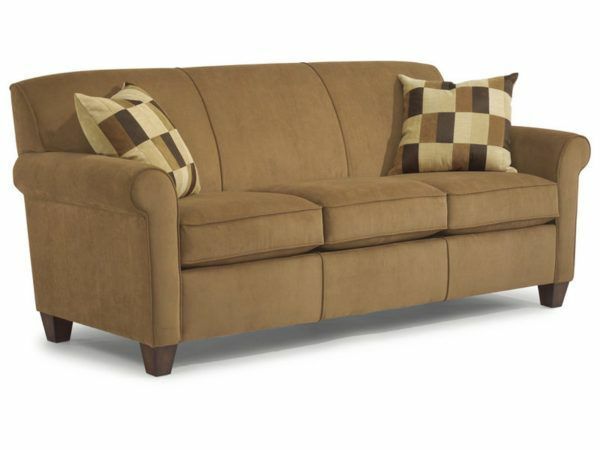 Save 25% off top-quality Flexsteel floor models like this Dana Fabric Sofa. Flexsteel furniture is well-known for having strength on the inside and lasting beauty on the outside. And you can buy quality Flexsteel floor models for 25% off. The entire selection of mattresses at Brandenberry is on sale at 20% off. Also, Brandenberry is offering all in-stock items at 15% off. So you can purchase furniture items for every room in your house. In addition, you can enjoy savings off a vast array of home accessories. You can enter a drawing to win a gift card for $100, $200, $300, $400 or $500. Imagine how awesome it would be to receive this much money off your next purchase! Entrants must be 18 years of age or older and must enter in person. You need not be present to win. The Brandenberry 10th Anniversary Sales ends soon. So visit Brandenberry today. Brandenberry Amish Furniture is located at 1045 N. State Road 5 in Shipshewana. Find the Shipshewana furniture store at the intersection of State Road 5 and US 20, near the Indiana Toll Road. Also, the store is open Monday through Saturday from 9 a.m. to 5 p.m. and by appointment. At Brandenberry Furniture, we offer everything from bedroom and dining collections to home accessories. Also patio and exclusive furniture pieces. So browse our easy-to-use website. Because you’ll find detailed photographs and information. Also, you’ll find furniture categorized by room. These include family room, dining room, bedroom, office and children’s furniture. What’s more, you’ll find furniture categorized by style and wood species. These species include oak, hickory, cherry, elm, maple, pine and cedar.